The cost of a Singaporean doctor’s services for the Brunei royal family raises questions about the island’s health costs. Regular travellers around Southeast Asia understand how much consternation health issues and finding an affordable insurance policy can cause. The medical industry and insurance companies have never been particularly generous, despite billion dollar advertising budgets designed to tell you differently. In a bid to reduce costs, regular travellers tend to opt for insurance that focuses purely on Southeast Asia as leaving other regions and expensive countries like the United States out of the policy will substantially cut costs. Well, that was the traditional thought. Then along came a report that painted Singapore in a less than favourable medical light. And we all know that anything about Singapore that’s less than favourable could wind up resulting in a nasty wrap over the knuckles – or worse. It’s all about a $20 million medical bill incurred by one person from Brunei. According to a Bloomberg dispatch and widely published other reports, Susan Lim – Asia’s first ever liver transplant doctor – sought $200,000 a day over a seven month period in 2007 to treat a member of the Brunei royal family. The patient died of cancer, and Brunei later complained about the costs of her bill and won support from Patients Beyond Borders, which is calling for increased oversight amid tarnished reputations at all levels. Lim maintains there was no wrongdoing and that the patient had agreed to the charges and had never been held to ransom. Sultan Haji Hassanal Bolkiah is the world’s second richest royal, and has ruled Brunei with a generous hand for decades. The bill was for the treatment of his sister-in-law Pangiran Anak Hajah Damit, and in a rather diplomatic letter he complained the bill was extravagant and could harm the reputation of Singapore’s medical profession. Lim has apparently since voluntarily cut the bill in half as a gesture of friendship. 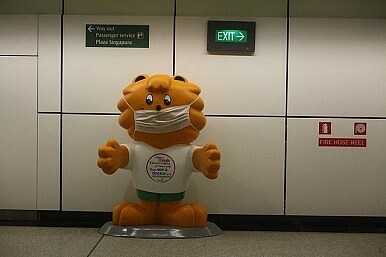 This was after the Singaporean health ministry initiated a probe into her activities, which included improper billing. It didn’t end there. The panel investigating Lim stepped down after she accused them of pre-judging her case. A second panel is apparently now looking into the matter. Her case followed another billing dispute involving the United Arab Emirates. Total bills for about 100 UAE patients were also halved by Singapore, to about $15 million after a please explain was requested. At a broader level, the squeaky-clean island state remains a much cheaper alternative to the United States, particularly for serious medical work like heart surgery. But it’s also facing increased competition within the medical industry from countries like South Korea, Malaysia and Thailand, which offer high end services at much lower costs. This matters given the money grubbing reputation the medical industry and insurance companies have perhaps unfairly suffered from in recent years – despite all those advertising dollars. It might even be worth taking a closer look at why some other people in the medical industry are portrayed in that less than favourable light. Particularly if you’re a squeaky clean Singapore. Based on Jokowi’s first term and how the country’s election played out, the economy is likely to continue to be a key priority.